All this test equipment is not much use without the various cables to power it and connect it together. 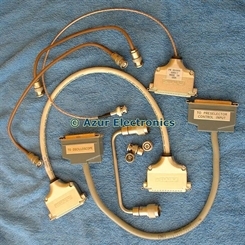 Most of my connecting cables use coaxial cable with N-type male to male or BNC male to male connectors. 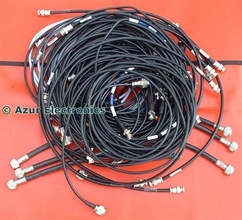 Good quality 50Ω RF cable is essential to avoid signal attenuation and distortion. My preference is RG58C/U coaxial cable. At higher frequencies, in the Gigahertz range, cable performance is critical. 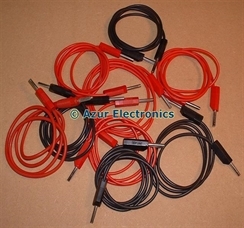 Test equipment, such as Multi-Meters and Power Supplies, use 4mm sockets. 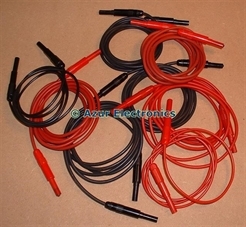 These 4mm test leads either have shrouded plugs for safety (especially for high voltages) or stackable 4mm plugs & sockets. Occasionally I need audio & video test cables. 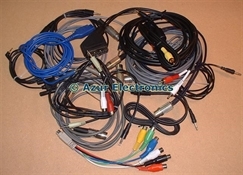 Mostly these are coaxial cables with phono, jack, DIN, D-type, SCART connectors. 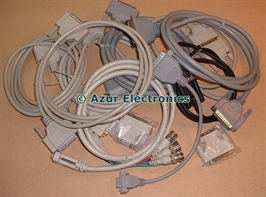 Data and computer applications require D-type, Centronics, RJ11, RJ45, BNC 75Ω, USB connectors. 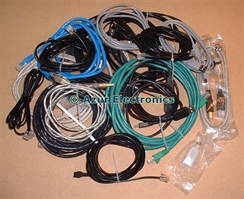 Special inter-connecting cables are required for specific items of test equipment. Usually these are very difficult to find and/or very expensive. Originally supplied with the test equipment and no doubt lost over the years. 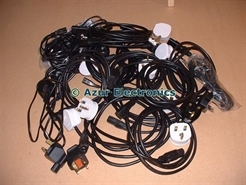 It's worth keeping any special cables and listing them on eBay if you don't want them. I have had to pay more for these than the test equipment itself!